Patents are a crucial asset for innovative businesses to permit the return of R&D costly investments , in all sectors of industry, including pharmaceuticals, biotechnologies, consumer products, electronics and telecommunications. A patent thus gives his holder to reserve the exploitation of an invention, to perceive royalties in exchange of the grant of a license, and to prevent unauthorized third parties to work the invention. In UAE, Federal Law No. 44 for the year 1992 pertaining to the Industrial Regulation and Protection of Patents , Industrial Drawings, and Designs was replaced by Federal Law No. 17 for the year 2002 and later amended by the Federal law 31 for the year 2006. As per the last issued law, protection period for patent is 20 years and for Utility Certificate is 10 years. No extension of this term is allowed in the UAE. A patent granted under the Federal law of the United Arab Emirates provides protection in the seven emirates, namely, Abu Dhabi, Dubai, Sharjah, Fujairah, Ras-Al-khaimah, Umm-Al-Quwain, and Ajman. v WIPO Convention, since September 1974.
v Paris Convention (Industrial Property), since September 1996.
v PCT Patents ), since March 1999.
v WTO: Member and Signatory to TRIPS Agreement, since April 1996.
v Gulf Cooperation Council (GCC), effective November 1998. The United Arab Emirates is covered under the Gulf Cooperation Council (GCC) which also covers IP protection in Kingdom of Saudi Arabia, Kingdom of Bahrain, Sultanate of Oman, State of Qatar and State of Kuwait. Patents are granted in UAE if the applications meet the criteria of Novelty, Inventive Concept (also known as Non-obviousness) and Industrial Applicability. NOVELTY: Although the UAE Patent Law does not have any stipulation of novelty except the mention of “new”, the implementing regulations require the administration to examine the patent as to the new invention has no precedence in the industrial prior art which means that the invention was not disclosed to public anywhere at any time whether by written, oral disclosure or by use or any other method which allows the understanding of the invention. INDUSTRIAL APPLICABILITY: The invention can be used on an industrial level. NON- OBVIOUSNESS: The invention should have technical development which is not obvious to any skilled person related to field of technology to which the invention belongs. All patent applications filed at the UAE Patent Office are subject to substantive examination and are bound to meet the above-mentioned patentability criteria for receiving acceptance by the Patent Office. The examination of Patents is conducted by the Austrian Patent Office through a special agreement between them and the UAE Patent office and a request for examination is possible only after receiving notification from the UAE patent office informing that the application has reached the examination stage. The administration shall notify the applicant should the application be rejected and the applicant may file a petition to the competent committee within a period of 60 days as of the date of notification. Upon the decision of the Minister of Economy for accepted applications, the letters patent and utility certificates shall be issued and published in the Industrial Property Journal. Any interested party may file an objection thereon to the competent committee within a period of 60 days from the date of publication. The letters patent or the utility certificate shall be issued to the applicant if no objection has been filed during the specified period. According to the UAE Patent Law, annual maintenance fees are due on the anniversary of the International filing date for the national phase of PCT applications and on the anniversary of the National filing date for Non-PCT applications (including both priority and non-priority applications). The annuities can be settled within three months from the due date without any consequences and an extension of another three months is allowed for settling the due annuities with a surcharge. 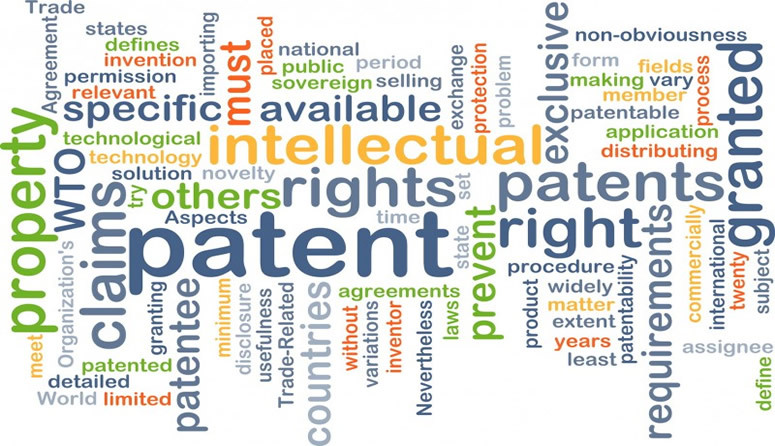 The right to a patent may be assigned or licensed. An assignment shall have no effect against third parties, unless it has been recorded at the Patent Office and published in the Industrial Property Journal. Working of patents in the UAE is an official requirement. If the owner of a patented invention does not satisfy the stipulated working requirements within 3 years from the issuance of the letters patent, or the owner refuses to license it under a contract of fair terms, the patent will be subject to compulsory licensing under the provisions of the law. Technical know-how is protected from any unauthorized use, breach or disclosure and infringement of the owner’s rights is punishable under the provisions of the law.